Whether you are going for the traditional or the modern cabinets, they give justice to the kitchen only when they perfectly suit the space in terms of size, shape, color, and style. Before designing the kitchen, the following steps need to be followed. Measure the space you have at hand. 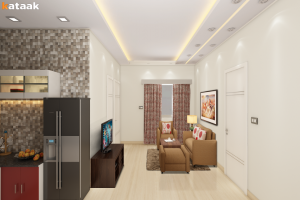 Plan where the sink, electric sockets, plumbing system, gas pipes need to placed. The location of the full-length cabinet. Try to opt for overboard cabinets as they leave enough room to work without any hassle. When it comes to choosing the color, go for ones that look well with the kitchen tiles and décor. The foremost factor before selecting a countertop is space. You can find them in a variety of shapes including L-shape, U-shape or one with parallel counters. You can even add an island to them as well. U-shape is one of the most common and widely used styles as it is functional and provides good space for work. Once you are done selecting the shape, next is to select the top. It can be of any material including concrete, stainless steel, marble, granite, quartz and limestone. However, granite is the most popular choice as it is scratch, water and heat resistant. Another popular choice is concrete, which is also durable. Cabinets, racks, and overheads cover major portions of the walls of the kitchen. So there is less space left to design the walls. 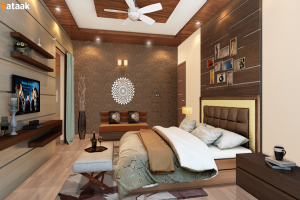 However, they cannot be ignored as they play an important role in defining the overall decor. 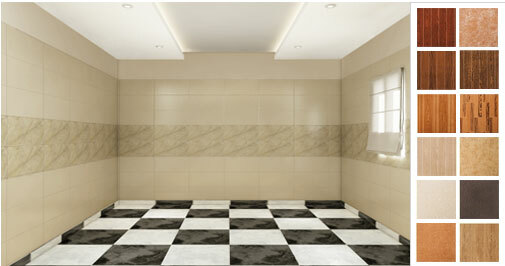 Kitchen Tiles – Tiles are one of the best options for covering the remaining wall space. They make the kitchen look beautiful and are more durable than paints. They are heat resistant, water resistant, and require normal cleaning.You can find them in a great array of varieties, varying across quality, sizes, designs, and colors. 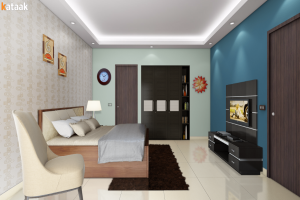 Wall Paints – Colors set the mood, and every room should be painted according its functionality and requirement. Similarly, kitchen also needs a perfect color to set the temper.You can opt for warm hues like variations of red, yellow or orange. For a tidy and classy look, you can go for mild tones as light olive, peach and lavender. 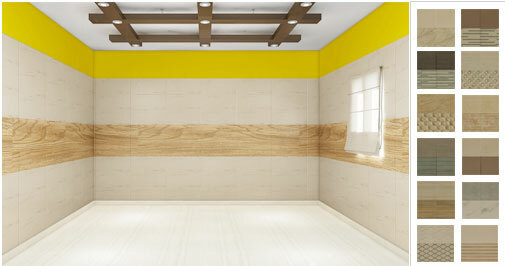 It is important that the wall color chosen blend well with the kitchen cabinet. The kitchen flooring, besides being practical and durable, is a major design statement as well. The kind of flooring you choose creates an impact on every other element of your overall design and with the variety of materials, colors and textures available today, your choices are nearly infinite. Limestone is a natural stone that offers a traditional look. Downside- It is a porous material and should be sealed upon installation and then maintained twice a year. Cork is a flexible material available in a variety of colors and designs. It is water-resistant and reduces impact noise. Vinyl flooring comes in a variety of styles and colors in either tiles or sheet format to be chosen according to budget and style. For high traffic kitchens, wood is not a good choice as it is prone to scratches and is not water-resistant. Happy Kitchen Decorating to you ! 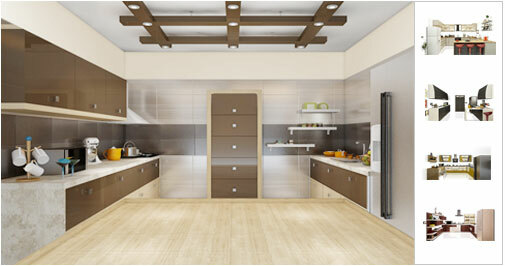 Design beautiful yet functional modular kitchens online! Food, fun and laughter, kitchen forms the heart of every house. 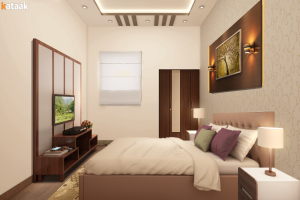 Careful planning is required to ensure that the most loved space of your home is beautiful yet highly functional. 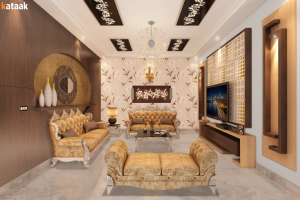 With Kataak-World's Ist Live Home Designer, you can do that and much more. 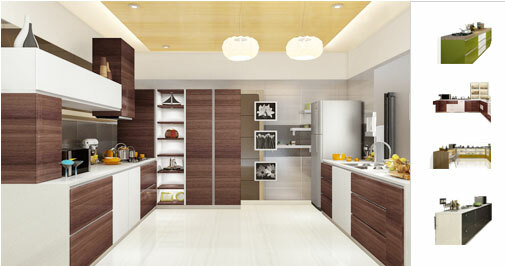 We are an interactive online platform that let you design stunning modular kitchen design online. 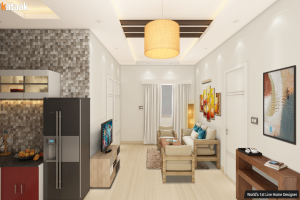 Choose the appropriate kitchen size and play with options like cabinets, overheads, flooring, ceiling, wall paints and much more to design your dream kitchen. We understand that kitchen designs often get over the budget. With the dynamic integrated price meter, you can view the price of the design, detailed to individual elements. 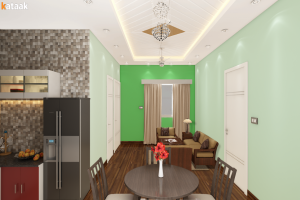 Tweak your design to match your needs and budget. Save or Share the final design with your loved ones via social media or email and take their opinions. When finalised there is no need to move from one retailer to another with the kitchen design in the hand to find the necessary items. 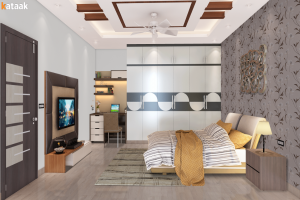 You can purchase the individual items from the site itself or get connected to our handpicked team of interior designers to get the project executed. Compare profiles and bids to get the job done at the best of the prices! Work done! Your dream kitchen is now a reality. 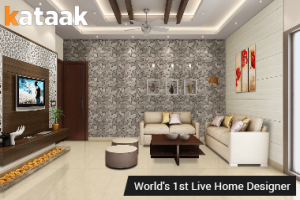 Kataak is your one stop destination for live decor and kitchen design ideas online. Try the tool today !